Contrary to what you might think, family trusts are among the most useful, flexible and often underutilised entities, especially in business structures. While many will consider holding investment assets in a trust, they overlook the fact that for an SME business owner the business is usually the family’s single most significant investment, and appropriate structuring is vital. Many of Australia’s wealthiest individuals use family trusts to hold their shares in the business that produced that wealth. While there may be a fewer zeros involved, the key issues that led mining billionaires down that path are just as relevant to a small business owner, especially in the case of a family owned business. The classic structure for a family-owned business is to start with a company that carries on the business with all the shares being owned by a family trust. If there is more than one owner, each shareholding would be held by their respective family trust. A good structure for larger businesses or where there are multiple business activities or divisions is when the operating companies in turn are owned by a holding company (Holdco), and 100 percent of the shares in Holdco are then owned by a family trust. If the family owns the premises from which the business operates, a common strategy is for the family trust to hold the business premises and lease them to the operating company at an appropriate market rent. • Flexibility – trustees can allocate income and capital to any of the family members or related entities in any proportion from year to year without restrictions. It is even possible to allocate different percentages of various types of income (eg, rental income from the business premises, franked dividends from business profits and other investments, and capital gains from selling assets) to different individuals. A common situation is that one family member has capital losses, and the trust can allocate all capital gains to that individual. • Asset protection – as the individual family members do not actually own the trust assets, the business assets are generally protected from claims against the individuals, although not necessarily in all situations (eg, family law disputes). • Succession – it is fairly easy to pass on control of a family trust to the next generation by changing the trustee (or shareholders and directors of an existing trustee company), without triggering a taxing event or other consequences, and in the case of the founding individual’s death without going through their estate. • Accessing capital gains tax (CGT) concessions on selling the business – there are very generous concessions for the sale of a small business where one of two key thresholds is met, ie, annual business turnover does not exceed $2 million, or the market value of net assets does not exceed $6 million. The flexibility offered by a family trust makes it much easier to satisfy the requirements for applying the CGT concessions, and to maximise the tax-free benefits from their application, and offers significant planning opportunities. Where, as is often the case, a business has started out using a company with one or more individual shareholders, there may be an opportunity to put in place a more appropriate structure without causing the family to suffer significant tax implications. One approach is to use the available CGT rollovers and concessions to ensure that there is no taxing event. There is a new CGT rollover available from 1 July 2016 specifically aimed at trust structures. Another useful approach is for the individual(s) to transfer their shares in the operating company to a new holding company owned by a family trust, relying on the CGT concessions mentioned above to reduce or eliminate any tax arising from the transfer. The latter approach has the advantage of "unlocking" value built up in the business over a number of years as the individual will be entitled to receive proceeds from the holding company (which can in turn be sourced from the operating company) equal to the current value of the shares transferred. If sufficient cash is not available, or is not currently required, the individual will have a loan account that can be drawn down in future years. 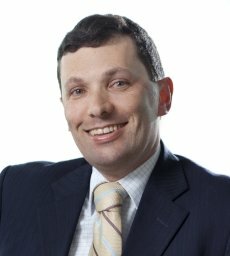 It is, of course, important in any restructure to ensure that the transactions are not purely motivated by tax considerations, as the ATO has several anti-avoidance rules at its disposal if it identifies transactions that it believes cannot be explained by commercial or other practical considerations. For this reason it is vital to fully document any restructure planning and deliberations.